Ingredients: Aqua (Mineral Spring Water), Ethylhexyl Palmitate, Cetearyl Alcohol,Cetyl Alcohol, Glycerin,Ceteareth-30, Sodium Cetearyl Sulfate, Propanediol (Corn derived Glycol), Hamamelis Virginiana (Witch Hazel) Water, Phenoxyethanol, Maris Aqua (Dead Sea Water), Dimethicone, Allantoin, Ethylhexylglycerin, Parfum (Fragrance), Benzyl Salicylate, Linalool, Limonene, Alpha Isomethyl Ionone, Butylphenyl Methylpropional, Citronellol. The light smell and texture are absolutely perfect. I have dry hands and hate products that are too watery or greasy and this one is truly perfect. 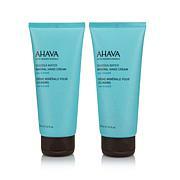 I bought Ahava Sea-Kissed Hand cream for Christmas gifts and kept three for myself.The smell is good and your hands stay soft.Good value pack.I paid $21.00 for three in the store.So, when I seen this I order the set.It is worth the price.I also order AHAVA Mineral Hand Cream Mini 5-piece Set too. Love this product!! 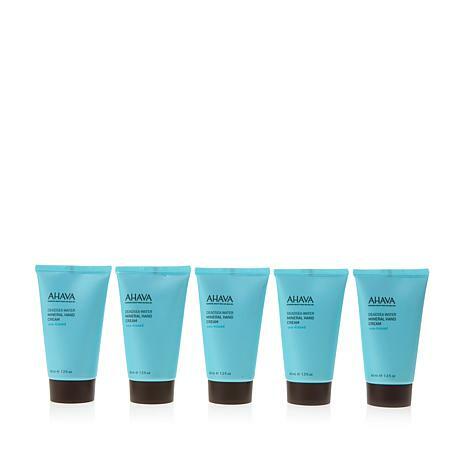 So silky and go right into your skin with no residue. This will be my hand cream from now on. The scent is lovely and non intrusive. Makes me want to try the body creams. I visited Israel one time and bought the same lotion over there while visiting the Dead Sea. I had run out and was excited to see I could get it through HSN.